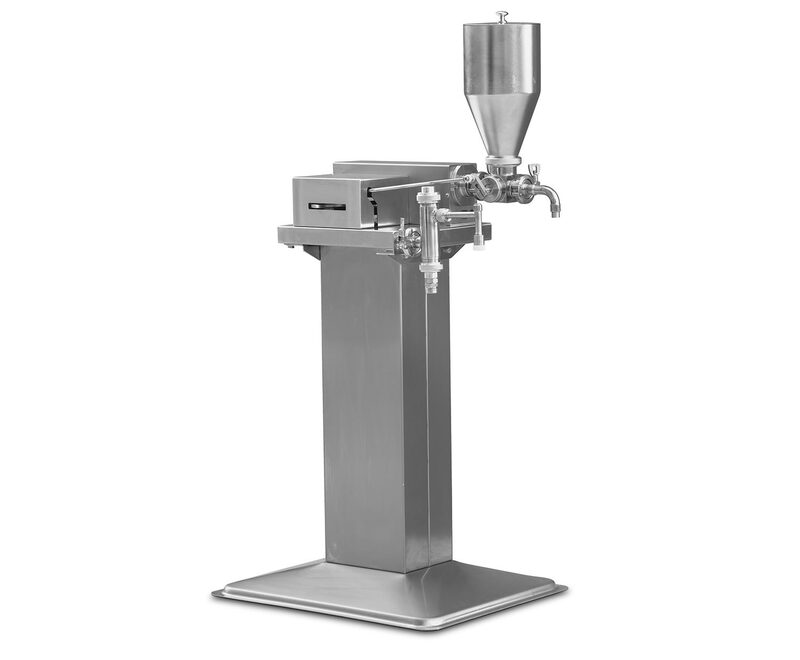 Semi-automatic volumetric mechanical manual piston-action dosing and filling machines ideal for honey, liquid and pasty in glass, metallic, or plastic containers. 0-1.000 Gr. Depending from operator speed. 0-200 ml. 14 mm. Manual mechanical Dosing system, without any pneumatic or electric device. Liquid products filling kit complete with pipe of suction from drums. Made of stainless steel, simple and easy disassembly of the filling head, easy setting of the washing cycle permits perfect hygienic conditions. Very fast format change, without any spare parts replacing.